A Hijab cap is also known to many people by the name of under Hijab, bone cap, turban, under scarf, headband, banadana or a bonnet cap, but they all serve the same purpose- keep the Hijab in place. It is important for Islamic women to keep their head covered at all times. To cover their head, they use a Hijab, but often women face difficulty in keeping the Hijab in place. Hijabs tend to slip off easily as they are made of thin and slippery material and this generally causes discomfort to the woman wearing it. This is when they can use Hijab caps. This cap provides extra support to the head covering and keeps it in place. These caps are available in various sizes and colors and are also used to create a contrast between the cap and the scarf. Lace Underscarf: This underscarf is made up of lace which is stretchable and non-slippery. It looks beautiful when worn under a Hijab and adds a grace to the Hijab. The lace underscarf that you wear, can be of the same color as that of the Hijab or you can also opt for a contrasting color. Tie Back Underscarf: This is one of the most popular caps among the Islamic women. Commonly made of cotton, this cap is absolutely non-slippery. It can be worn simply by placing it over the head and then knotting it at the back of the head. 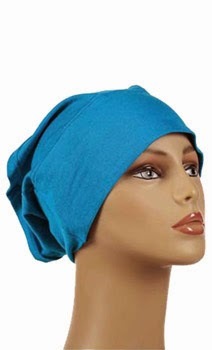 Bonnet Underscarf: This cap made of stretchable material, preferably, polyester or Lycra, is a new addition to the caps. These caps can be worn very easily as you just need to slip them on the head. You can choose from the wide range of colors and sizes available in the market. Full Underscarf: Full underscarves can be worn with Hijabs that are made of sheer material. This underscarf covers the neck are along with the head and keeps the woman covered entirely. With the help of the above mentioned Hijab caps, women can easily wear Hijab made of any material as the caps keep the Hijabs in place. For more information, visit- EastEssence.